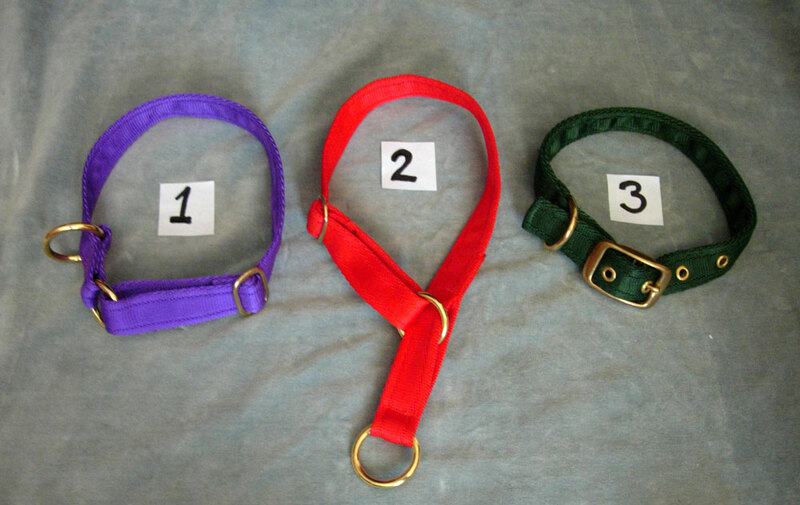 We have 3 choices of collars to meet different needs. 1. The adjustable ring collar designed to exclude any fastenings which could accidentally be undone. 2. The adjustable semi slip collar with the same safety elements as the ring collar but with the addition of a limited sliding section that works like a ‘choke’ chain but without ever being able to overtighten. 3. An ever popular, standard buckle collar. Whichever you choose, the SASS range of dog collars are all handmade in our own workshops using the best materials including super strong webbing and solid brass fitting.